OnePlus is a Shenzhen based smartphone manufacturer that came into existence in the year 2013. Albeit it is a budding company in contrast to competitors like Apple and Samsung, it has made its mark in the heavily crowded smartphone industry. Late last year the company launched the OnePlus 6T smartphone which has received a warm welcome globally. For the past three years, the company has been launching two smartphones each year. Accordingly, the company will launch the OnePlus 7 smartphone before the Q2 of 2019 ends. The first renders of the upcoming smartphone were leaked weeks after the launch of OnePlus 6T. Freshly leaked live images suggest that the future smartphone will be a big leap forward from the current device. 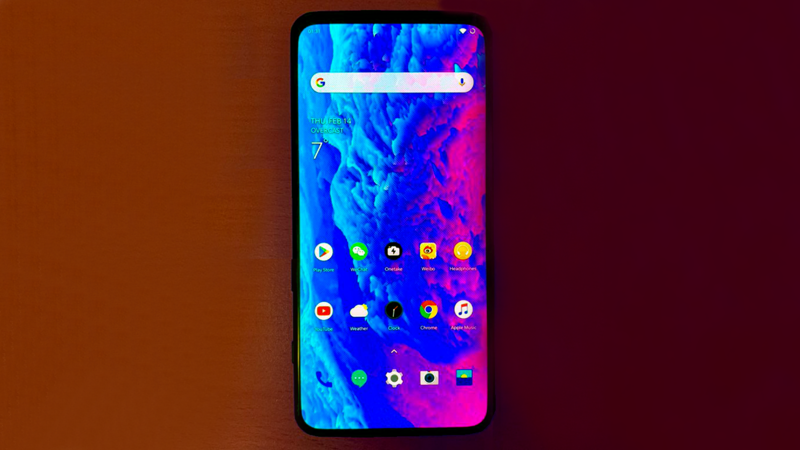 The live images of OnePlus 7 were leaked on Twitter which reveals a smartphone with a notch less display and minimal bezels. Certainly, the device posing in the image is a OnePlus smartphone as the signature OnePlus icons are clearly visible on its screen. Noteworthy, the alleged OnePlus 7 smartphone does not have a notch display to accommodate the front facing selfie camera. The images shared on Twitter were captured in an improperly lit environment. Therefore, it is hard to make out what the device exactly looks like. Past leaks have claimed that the OnePlus 7 smartphone will have a sliding display like the Mi Mix 3 which has concealed selfie camera and ambient light sensor. Upgraded Chipset- The OnePlus 7 is expected to feature the latest chipset from Qualcomm which is the Snapdragon 855. The SoC consists of an Octa-Core CPU and Adreno 640 GPU. 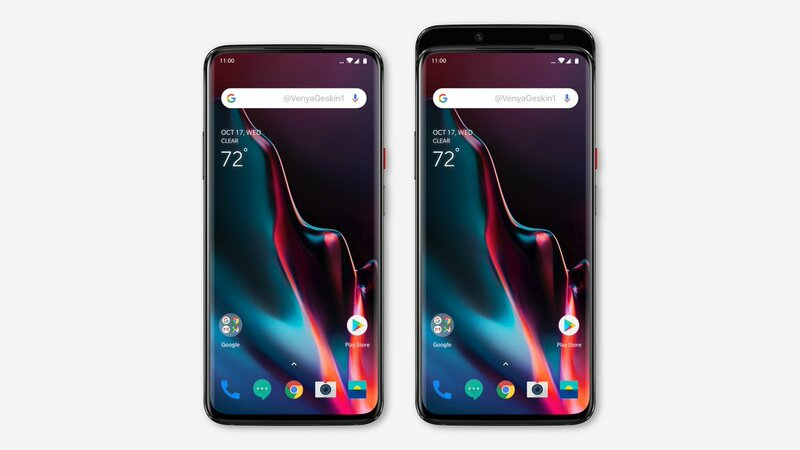 Larger Display- Although the OnePlus 6T sports a 6.41 inch display which is one of the largest on flagship smartphones, its successor the OnePlus 7 is plausible to have an even larger display. Larger Battery- The OnePlus 6T is powered by a 3700 mAh battery which was bumped by 400 mAh from the OnePlus 6‘s 3300 mAh. The upcoming OnePlus 7 is likely to pack a larger size battery as its competitors like Huawei Mate 20 Pro and Galaxy S10 Plus have a battery larger than 4,000 mAh. Faster Charging Support- The regular variant of the OnePlus 6T supports 20 watts Dash charge. While the limited McLaren edition OnePlus 6T supports 30 watt Warp charge. Accordingly, OnePlus 7 is also expected to feature faster charging Warp charge. 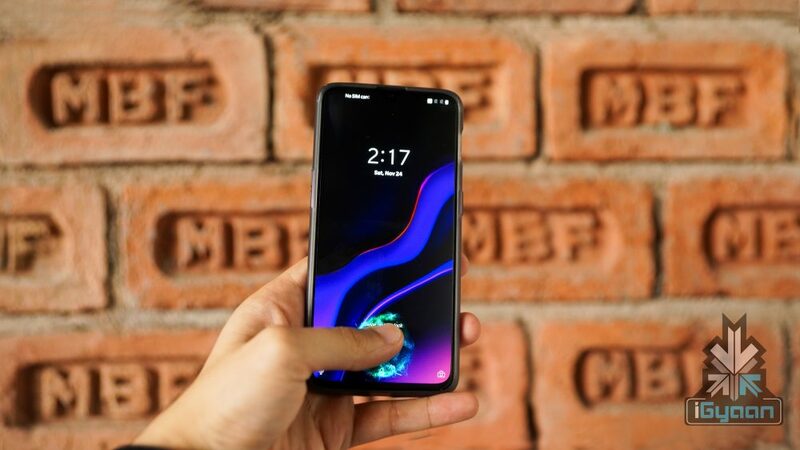 OnePlus has not announced the launch date of the OnePlus 7 smartphone. Going by the past OnePlus launch cycles, the upcoming device will launch sometime in the month of May or June this year.